Today, my dear readers, I will continue on the topic of crack cocaine. I want to continue this topic today because, like many of you, I am quite fascinated by the fact that we have a mayor in Toronto who gets “hammered on Danforth” and uses crack cocaine when he is in “drunken stupors”, which apparently occurs quite often. I must say, fascinating choice of words for a Canadian politician, and a mayor of our largest Canadian city. So what is this drug crack cocaine and why does it have such bad reputation? 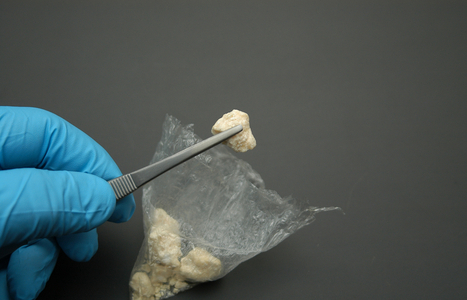 Crack cocaine is prepared by mixing cocaine powder with baking soda and heating it at a certain temperature. The cocaine is actually cocaine hydrochloride, which means it is acidic. When mixed with a base like baking soda it precipitates, forming a solid. When dried it looks like a solid rock with a consistency similar to wax. It has a much lower vaporizing point than cocaine itself, which means it needs to be heated only slightly to produce a vapour. This lower temperature means that the cocaine in the smoke is not broken down and neutralized by the heat the way powdered cocaine would be. In this way the smoke produced has a high cocaine content that travels straight to the lungs, where it is immediately absorbed. The powerful rush produced after inhalation reaches its peak effect within 8 seconds, but lasts only 3 to 5 minutes. During this time the person under influence usually experiences extreme euphoria, increased energy, alertness, supreme confidence , insomnia (i.e. no need for sleep), and a craving for more of the drug. Kind of sounds like Mayor Rob Ford! What happens physiologically when this extremely high dose of cocaine hits the brain all at once is that an enormous amount of dopamine (the “pleasure” neurotransmitter) gets “dumped” by our nerve cells in the brain. This produces all the effects mentioned above. However, almost all of this dopamine gets dissolved or is disintegrated within minutes. When this happens the person immediately feels the effects of dopamine deficiency, which are usually strong feelings of depression and lethargy. A typical response is to take another “hit” of the drug. However the next rush is not as strong as the first (due to already lower levels of dopamine in the brain), so the person is inclined to take more hits or bigger hits to achieve the same effects. The consequence of this is deeper depression, lethargy and feelings of worthlessness when the drug stops working (which occurs within minutes, as mentioned above). This is what makes the drug so addictive. It is the extreme euphoria achieved in a very short time with a very short duration of its effect. The person continuously tries to achieve the same effect without actually getting there. In other words, the stronger the pleasant effect and the shorter the duration of action, the more addictive the drug. This can present itself as a behaviour commonly termed “cocaine binging” that can last three or more days without any sleep. Eventually the person develops increased irritability, paranoia, auditory hallucinations, and bizarre, erratic and violent behaviour (perhaps explaining Rob Ford’s last fit on the driveway with reporters?). In addition, one may develop what is called delusional parasitosis (a false belief that one is infested with parasites) and formication (a false belief that insects are crawling under the skin). The last phenomenon may lead one to excessively scratch themselves, causing major bodily harm. It is also worth mentioning that the general opinion among addicts is that once you take the first hit you are addicted for life. It’s like the saying “once an alcoholic, always an alcoholic.” Even if you quit drinking. The same goes for crack, the only difference is that with crack it happens after the first hit. One more important point is that the use of the drug during pregnancy can cause serious complications like miscarriage, preterm labour, low birth weight and smaller brain size for the baby. Even if the baby is born with no apparent defects the effects of cocaine may manifest later in life with lower IQ, mental retardation, stroke in the early parts of life, heart attacks, and heart defects, to name a few. Such a constellation of symptoms has given rise to the unfriendly term “crack babies.” An unfortunate state of events, to say the least. The drug is so powerful and addictive that it even overpowers the mother’s natural instinct to take care of herself during pregnancy for the sake of the baby. The last twist to the story that I would like to mention (as I promised in my first blog on the topic) is that in 1863 a French chemist by the name of Angelo Mariani produced a commercial wine that contained about 7mg of cocaine per drink. The wine was very popular in Europe at the time, even among such dignitaries as Queen Victoria of England and Pope Leo XIII and Pope Saint Pius X. The former pope awarded a Vatican gold metal to the wine. The drink inspired an American pharmacist named John Pemberton to produce a similar wine with coca in 1885. When the Atlanta and Fulton Counties in the United States passed prohibition in the same year, Mr. Pembeton developed a non-alcoholic carbonated version of the drink and named it Coca-Cola! The drink contained cocaine and caffeine (from kola nuts). Such was the composition of the drink until the passing of the Food and Drug Act in 1906 when the coca content of the drink was banned and we were left with the (still not so healthy) drink we have today. That’s all for this topic. It’s been a long and emotional journey but I hope you enjoyed it and that now you have a clearer awareness of the topic and how it relates to the current state of affairs in Toronto. Let’s hope for the best. Stay tuned for my next topics. Categories: Lifestyle | Tags: bagged tea, insomnia, sleep | Permalink.